More than one million people are diagnosed with cancer each year in the United States. If you have diagnosed with cancer, the oncologist and staff at Premier Oncology, Consultants are ready to team with you to fight and win the battle with cancer. From the most feared and life-changing experience of discovering that you have a cancer, to the hope and satisfaction you get from the care that we offer, we are by your side every step of your journey to being cancer-free. The physicians and staff at Premier Oncology Consultants want our patients to feel safe and confident in knowing that we are devoted to their mental and physical well-being. 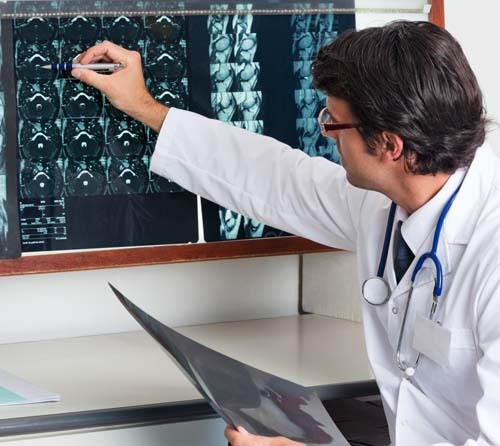 Your treatment may be customised to your individual needs and circumstances. Your visit will be more efficient if you’re prepared. Bring a list of all medications you currently take (including over-the-counter remedies, vitamins and herbal supplements).Your insurance card and a list of questions or concerns that need to be addressed with your physician. It will be helpful to have a caregiver with you for all visits if you need assistance walking. If you do not see your insurance provider or have any questions, please feel free to call our patient insurance advisor team at 281-556-6622. 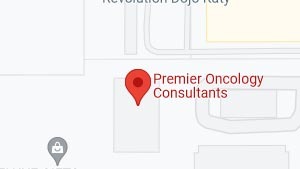 Premier Oncology Consultants welcomes patients with medical insurance and most major medical insurers including AARP, Aetna (Most Benefit Plans), Aetna Medicare, Amerigroup Star Plus, Amerivantage, Blue Cross Blue Shield Texas, Blue Medicare Advantage PPO, United Healthcare (Most Benefit Plans), Tricare, TMHP etc. Additionally, we welcome patients choosing to pay for their own treatment. Our list of managed payors is constantly changing. Any inquiry, please check with us. 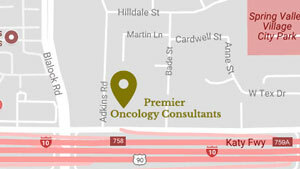 Becoming a new patient at Premier Oncology Consultants is easy. Make a single call to schedule a consultation with one of our oncologists and learn about the steps involved in determining the right course of treatment for your cancer. We have two offices to serve you. 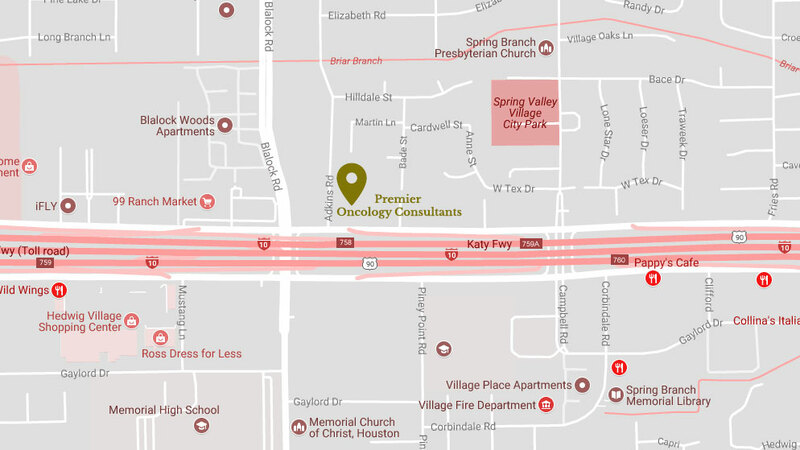 Providing Cancer treatment in Houston, Texas. I met with Dr. Naqvi and immediately loved her demeanor. She was so thorough in explaining my cancer and treatment options and really made it make sense to me. Dr. Naqvi and dr. Riaz have been such a blessing. They got me in for treatment within one week and started me down the road to recovery. They have become like family to me. 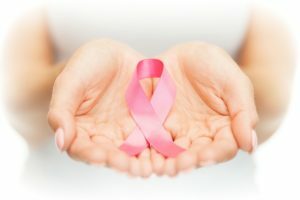 Signs of breast cancer are hardly apparent during the developing stages, but as the cancer grows, it may lead to obvious changes that women need to watch for. The most common symptom is usually an abnormal lump or sometimes swelling in the breast, yet lumps may also appear near the breast or underneath the arm. 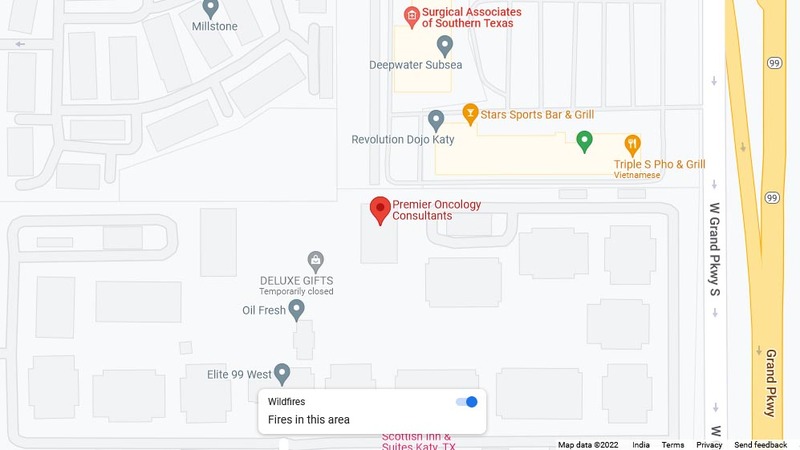 Dr. Naqvi and Dr. Riaz, husband and wife, are board certified Medical Oncologists and serving in this area for 10 years. Dr. Riaz also did Palliative Medicine fellowship from Cleveland Clinic, Ohio. In practice, we focus on the most current cancer therapies to make sure your lifestyle to the highest degree possible. We welcome any concerns and would happily address queries to confirm the best care management.